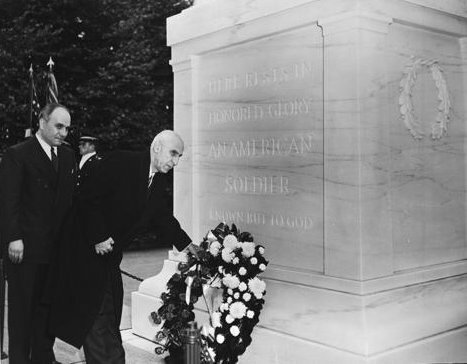 “Mosaddeq occupies a special place in the Iranian collective memory: he is widely regarded as a man of integrity and courage, a statesman who consistently adhered to the ethical and political principles that he publicly advocated; a secular democratic constitutionalist who, throughout his political life, maintained that in a constitutional representative polity, legitimacy rests on popular sovereignty, that rulers must be democratically elected and that everyone who exercises political power must be fully accountable. Mosaddeq was at the same time an ardent anti-imperialist who challenged the deep-seated and overlapping British political influence and oil interests in Iran and thus acquired international fame.” Professor Fakhreddin Azimi told Zamaneh. 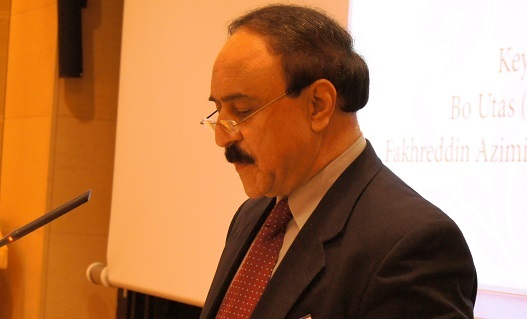 Professror Fakhreddin Azimi who is the writer of “The Quest for Democracy in Iran: a Century of Struggle against Authoritarian Rule” is a leading expert on the cultural history of modern Iran. Mosaddeq pervades the collective memory of many Iranians, and especially so in the days running up to Nowruz (Iranian New Year). On March 20, 1951, just one day before Nowruz, Iran’s oil industry was nationalized. Iranian oil nationalization is directly associated with the name: “Mohammad Mosaddeq” (محمد مصدق). 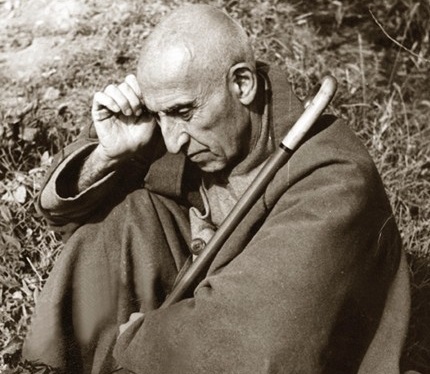 “Mosaddeq’s growing domestic reputation, traceable to the pre-Pahlavi era, enhanced his capacity to generate conviction and inspire confidence, enabling him eventually to lead and personify the Iranian civic nationalist movement of the late 1940s. This movement, which culminated in his premiership, simultaneously aspired to free Iran from improper foreign influence and to establish the principles and institutions of democratic governance free from monarchical control or interference. The odyssey of Mosaddeq and the movement that he inspired, together with its successes and failures, continue to animate the political imagination of those Iranians who, in thinking about the prospects for democracy in Iran, are mindful of the indigenous experiences traceable to the Iranian Constitutional Revolution of 1906.” Professor Fakhreddin Azimi said. Mohammad Mosaddeq was the 35th prime minister of Iran (1951-1953) when his government was overthrown in a coup d’état. He was from an aristocrat family. He had the title from the nobility, mosadegh-al-saltaneh since his mother was a princess from Qajar dynasty. He was the first Iranian who received a PhD in law from a university in Switzerland. Mosaddeq was not the one who nationalized Iranian oil industry, but he was one of the most important leaders of the movement. Mosaddeq, like other politicians and leaders, has his own fans and critics, however more than a half a century after his death both his supporters and his critics are so passionate in their public conversations of Iranians. Why is Mosaddeq still present in the minds of Iranian society? The search for oil in Iran started roughly 150 years ago. In 1872, Naser-al-din Shah from the Qajar dynasty granted the first concession to exploit Iran’s mineral resources, including oil, to Baron de Reuter, a British banker and businessman. The concession was cancelled later but the British quest for Iranian oil continued. Three decades later, in1901, another concession was granted, to William Knox D’Arcy by Moẓaffar-al-din Shah. The sixty-year contract gave D’Arcy exclusive rights to explore, obtain, and market oil and natural gas. In exchange he would pay Iran ₤20,000 in stocks and 16 percent of the annual profits as well as ₤20,000 in cash to the Shah. After years of expenditures, oil in commercial quantities was struck at Masjed Soleyman in south of Iran. The British government became immediately involved in Iranian oil by providing indirect financial and political assistance to D’Arcy’s oil company. In 1909 D’Arcy’s concession changed to the Anglo-Persian Oil Company (APOC) which was later renamed the Anglo-Iranian Oil Company (AIOC). Four decades later the company had built the largest oil refinery in the world, at Abadan, and three major ports. The British government owned 51 per cent of the company’s shares. Iranians were not happy with this contract sowing the seeds for the nationalization of the Iranian oil industry in the 1940s. Oil was a prominent issue in elections for the Majlis in 1949, and the nationalists led by Mosaddeq wanted to renegotiate the AIOC agreement. For 30 years, the British oil company had taken revenues out of Iran. On March 15, 1951, legislation to nationalize the oil industry was passed by the Majlis. On March 17 the Senate verified the legislation and the AIOC was nationalized. The popularity of Mosaddeq reached a peak. Mosaddeq: A patriot, nationalist or a democratic leader? Nationalization of the oil industry on 17 March 1951 and the coup d’état on 15 August 1953 (28 Mordad) are among the most controversial topics in Iranian history and Mosaddeq was central to both events. But what is the root of the continuing fascination about his role? 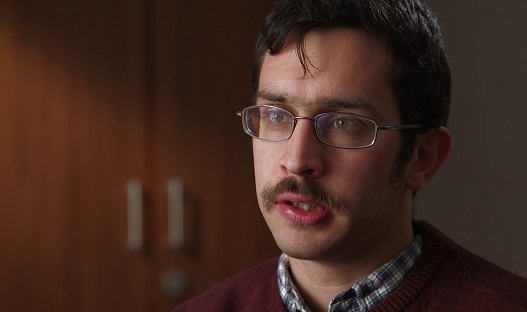 Siavush Randjbar-Daemi is a lecturer [Assistant Professor] in Modern Middle Eastern History at the University of St Andrews, Scotland. He believes that Mosaddeq was a pioneer in the beginning of the post-colonial era in the third world. “When he announced the oil nationalization in 1951, the world was still pretty much a colonial one and it was a very pioneering act. It was the first real challenge to western, and particularly British-controlled resources.” Siavush Randjbar told Zamaneh. Another reason for the remarkable popularity of Mosaddeq, according to Siavush Randjbar, is that he served only for a brief period of time and was prime minister for only two years. This has enabled his supporters to create a legend out of his tenure. Dr. Randjbar said: “it appeared Mosaddeq was constantly challenged, confronted and undermined by his enemies, and the general feeling was that he was always a “Mazloum” (victim) in all these confrontations”. “One of the prevailing traits and features of Iranian political culture is personality cult. Iranian politics, in contrast with many nations, is not built upon political parties but mostly driven by personality. Twentieth century history in Iran can be viewed through the lens of a clash of personalities including the Shah, Khomeini, Khamenei and Reza Shah. Some personalities were subject to the creation of a public image through the media, popular legend and myth. Mosaddeq was one the best Examples of this distinctive Iranian trait.” He added. A coup d’état on 19 August 1953, backed by US and British agents, deposed the Mosaddeq government. Historians, scholars, journalists and researchers cannot agree as to exactly what happened in that summer in Tehran. Some records exaggerate the role of the Americans and in other versions the British were fully responsible for the plot. Some historians even challenge the idea that the events of August 1953 can be branded a coup d’état. Mosaddeq like many other popular figures has had numerous critics and enemies. Some question his role as a true democratic leader. “The attitude of Mosaddeq towards the idea of democracy, the idea of popular participation and listening to the people is a difficult topic. During the days before 28 Mordad, especially the behavior of Mosaddeq and the way he made very important and crucial decisions was not driven by contact with the crowd. [In that period] Mosaddeq never went to the streets to see for himself what the people wanted” Ranjbar said. Siavush Randjbar believes the idea of Mosaddeq the nationalist and Mosaddeq the democrat have been fused together when they should better be considered separately. Eventually Mosaddeq was put on trial and was sentenced to three years custody. He was put under house arrest in Ahmadabad, where he died in 1967. Mykonos Assassinations: a Cold Case or an Undelivered Message?